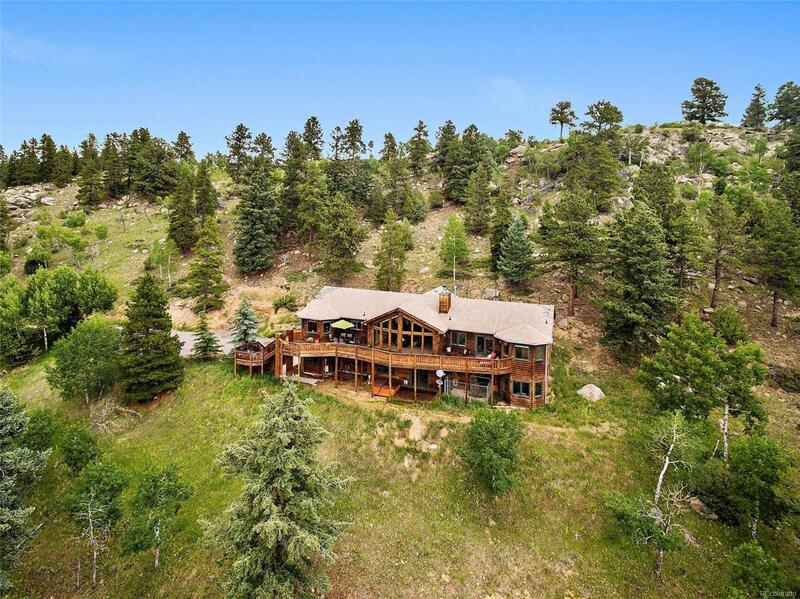 Come home to 10 private acres in the Colorado mountains. Relax on the deck and enjoy heart-stopping views and abundant wildlife. Floor to ceiling windows bring the outside into the open family room with vaulted ceilings.Large kitchen with eat in area and plenty of cabinet space. Double ovens, stainless steel appliances, and cabinet depth refrigerator. Huge master bedroom with a separate sitting area and mountain views. 5 piece master bathroom with a luxurious soaking tub.Comes with 2.1 shares of Mountain Mutual Reservoir Company Class A Stock allowing household use and watering of up to 3 horses. Quick access to 285. Wonderful Jefferson County schools. New carpet.